Porirua City is a vibrant city in the Wellington Region of New Zealand, (population 52,000 June 2010) and lies immediately north of the city of Wellington, suburbs of Porirua are largely formed around the arms of the Porirua Harbour and the coastline facing out to Cook Strait and the north-eastern parts of the South Island. 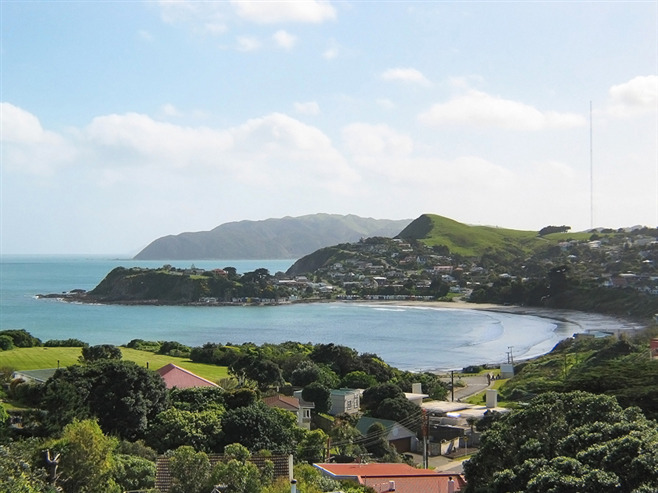 Many areas are coastal including: Camborne, Karehana Bay, Mana, Onepoto, Papakowhai, Paremata, Pauatahanui, Plimmerton, Pukerua Bay, Takapuwahia, Titahi Bay and Whitby; all with direct access to coastal parks and recreation reserves. Several suburbs without direct coastal access, including Aotea, Ascot Park, Elsdon and Ranui Heights, have substantial portions of residential homes having good views over the harbour. A large proportion of residents commute to Wellington only 20-30 minutes away, possibly tempted by the more family orientated communities and surrounded by the Porirua Harbour at the southern end of the Kapiti Coast and the Pauatahanui inlet of the harbour is notable for its world-class estuarine values. 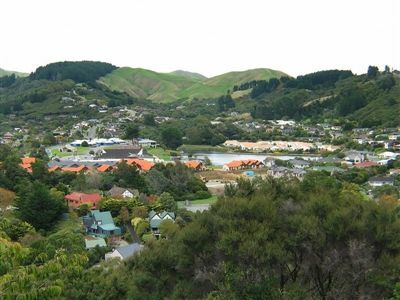 The youngest and fastest growing community in the Porirua area, the Aotea Block offers over 246 hectares of residential development which commenced build in the early 2000's. 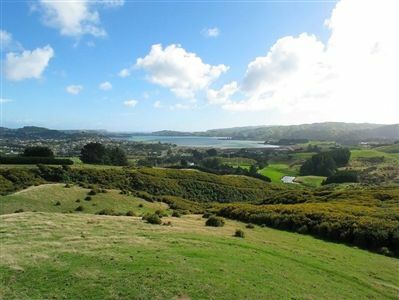 Nearing 800 lots, located on the hill above New Zealand Police College, the beautiful landscaped Aotea Lagoon and historic Gear Homestead nearby, the residential development also includes a retirement village, commercial premises with creche facilities and recreational grounds and reserve walkways. 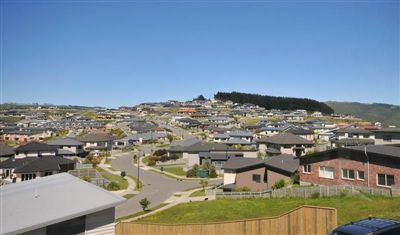 Current development continues on Phase 9, with further future development, all positioned only a short drive to the extensive shopping choices of Porirua or a 20 minute drive to Wellington City and enjoyed by many executive families looking for quality build with European influences and Master Build Guarantees. Close to good schooling and a short drive to sandy beaches at Titahi Bay or Plimmerton. 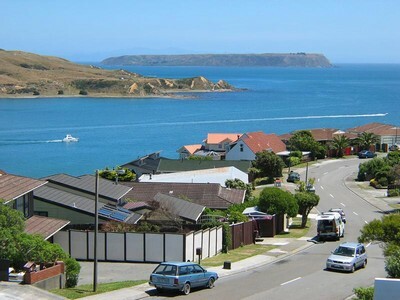 Many residents enjoy water views overlooking the Porirua Harbour or views over the extensive park, a small community of multicultural backgrounds situated in Porirua East, the community includes a number of religious organisations including established churches and a Marae. Four kindergartens, Rangikura Primary School and the Aotea College. A 1960's development located on a hilltop neighbouring its seaside suburb immediately east of Plimmerton, originally named after the rugged coast line of Cornwall, UK "Camborne", enjoying most of its street names after the Cornish origin including Penryn, Truro, St Ives and Torbay, . 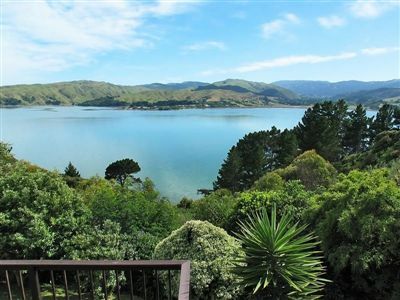 Most residents enjoy fantastic views of the Porirua Harbour, Pautahanui Inlet, green inland hills and/or open sea views towards Mana Island and the South Island beyond. For the family, looking for a bit of fresh air, a short stroll to South Beach, in Plimmerton or a gentle flat walk, taking in the rustic boatshed's of the sheltered Camborne Walkway, edging the picturesque Pauatahanui Inlet. 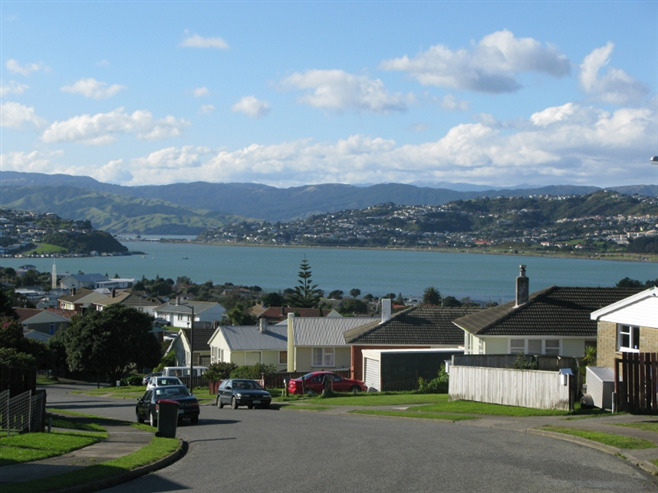 Neighbouring Waitangirua and Porirua East, Cannons Creeks is a bustling suburb with an ethnically diverse population where English is often the second language on the street. The main shopping centre at the junction of Mungavin Ave and Warspite Ave provides most of the daily necessities, yet only a short distance from Porirua's North City Plaza. Cannons Creek is well served by parks, including Cannons Creek, Bothamley, Natone and Waihora Parks, enter the fabulous Belmont Regional Park from the shopping centre and through the Cannons Creek Lakes Reserve. 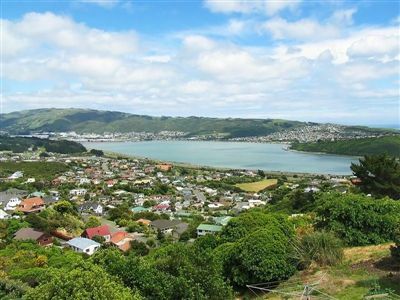 The park offers breathtaking views of Porirua Harbour, and keen walkers can travel directly across the hills to the Hutt City and Upper Hutt. 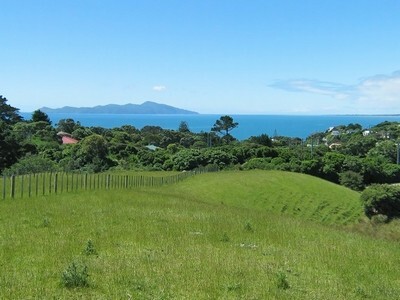 A small narrow strip of land (isthmus) offering residential and commercial properties connecting Camborne and Paremata (along Mana Esplanade) which is bounded to the west by the entrance to Porirua Harbour, east by the Pauatahanui inlet and Mana Island lying approx 3 kms west. Mana Island is a significant oval-shaped flat-topped island and was the site of one of the country's first sheep farms, but is now government-owned and used for regenerating endangered species since it was made predator-free. A small community, bounded to the north by Whitiera Park, a large park which is slowly being returned to native bush, and to the east by the Porirua Harbour, enjoying stunning elevated water views from many residential homes and a short stroll to the foreshore, a popular spot for water-sport enthusiasts, and home of the famous Porirua Rowing Club. The clubroom sit overlooking the water just into Onepoto Road, off Titahi Bay Road, with plenty of room to park and stroll along the water’s edge pass the old boatsheds, or simply watch the rowers, kayakers and yachties skim across the generally calm waters. Paremata is a fantastic and picturesque place to live offering a wealth of history from early Maori occupancy in the tenth century to the arrival of European whalers in the early nineteenth century. Bordered by the Pauatahanui Inlet and Porirua Harbour and situated approximately 20-30 minutes north of Wellington, Paremata is a thriving family community offering recreational facilities with sailing at the Paremata Boating Club on the eastern side of the Bridge or at the Ngati Toa Domain with its stony beach, large sports field and historic remains of the Paremata Barracks of the 1840’s. Most residents enjoy elevated and water views. A farming community with many residents opting for the rural lifestyle with its small village at the far eastern end of the Pauatahanui inlet. State Highway 58 skims the southern fringe of the village: to the east it leads to Judgeford, just up the valley, and over the hills to Lower Hutt in the Hutt Valley; and to the west it travels along the southern shore of the Pauatahanui Inlet skirting Whitby and through Golden Gate to meet New Zealand's most important road, State Highway 1, at Paremata at the mouth of the Inlet. Pauatahanui has many notable historic records with the the primary school being one of a very few schools in New Zealand over 150 years old and the only large estuarine wetland left in the lower North Island. The wetland reserve is run by the Royal Forest and Bird Society with ongoing efforts to reduce human impact on the environment and to restore damaged areas. The reserve has several hides for viewing birdlife, boardwalks, and some barbecue / picnic areas for visitors. Full of history and offering a wealth of community spirit - is a popular beachside village for local residents, daytrippers, holiday makers, windsurfers and boating enthusiasts. Stroll along the beautiful beaches and promenade taking in many of the stunning vistas of Mana Island and distant views of the North Island and in the winter the wonderful snow capped Kaikoura Ranges. Two local primary schools, Kindergarten, an active Residents Association and the longest standing Volunteers Fire Brigade of North Wellington first established in 1934.... whenever there's a village event whether its the Annual Kindy Winter Dip to the School Galas, its all hands on deck! 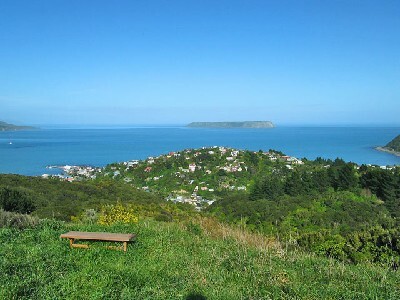 The northern most surburb of Porirua City (12km north of Porirua City Centre and 30 km North of central Wellington), majority of the residents are saddled between hills, offering sea views out towards Kapiti Island in the North. The coast around is fairly steep with a few houses nestled in a row behind the two sandy beach areas. Pukerua Bay has a kindergarten, pre-school and primary school, a selection of local shops. Commuters by train benefit from the close proximity to Porirua (15 minutes by train) and Wellington (35 minutes by train), making Pukerua Bay an attractive choice for people working in these cities. Families with children value the semi-rural surroundings and enjoy the unspoilt local beaches and coast. Located north of Wellington and South of the Porirua Basin, within easy access to both localities, you'll find a family friendly community enjoying a great range of schools, including Tawa College, a variety of sporting grounds and recreational facilities and a number of churches. The indoor swimming pool is a great attraction along with the pleasant valley in which it lies, west of the SH1 and public transport to Wellington City. Affordable housing with a number of collective suburbs including Lindenvale, Westhaven, Redwood, Linden, Greenacres and Sundale. Located at the foot of a short peninsula along the west coast of the Porirua Harbour, to the north of Porirua City with the beach on one side and Harbour on the other, it's very much a community suburb, with its large sports fields, Surf Life Saving, Volunteer Fire Brigade and one of its most popular activities along the beach break, surfing. Enjoying four primary schools, an intermediate and secondary school, easy access to Porirua City and South for Wellington City. A large and family orientated suburb located along much of the southern shore of the Pauatahanui Inlet has been continuously developed since the 1960's. An established suburb with tree-lined roads and cul-de-sacs, and current development continuing in the hills behind the eastern part of Whitby to facilitate the future growth of the suburb. The name of the suburb itself, as well as neighbourhood and street names, have a nautical theme based around the Pacific explorer James Cook. The suburb is commercially centered on the Whitby Shopping Centre around the Whitby Lakes, containing almost all the retail businesses in Whitby along with stunning reserve walkways throughout the village, residential village, 4 primary schools and private secondary school established in 2004. Whitby is very popular for sporting events with numerous sports parks for all ages.